(ماهر زين) Fascinated by the music and instruments, Maher Zain got his first keyboard when Maher Zain was only ten and ever since music officially became part of Maher’s world. The family moved to Sweden when Maher was only 8, where he continued his schooling, and later entered university and got a Bachelors degree in Aeronautical Engineering. With things changing around him, one thing remained the same – his strong passion for music. He would spend late nights at school with his friends where they would sing, rap, compose and experiment with music in every way. It didn’t take him long to realize that music became an integral part of who he is. After being involved for a while in the music scene as a music producer, Maher was introduced to RedOne, a gifted music producer who was fast rising in the music scene in Sweden. Maher started working with RedOne and later moved to New York. For a few years he was in the middle of the hot rush of the NY music industry, working with chart topping artists such as Kat Deluna on her debut album including smash hits ‘Whine up’ and ‘Run the Show’. Maher had what many would describe as a dream job for someone so young in such a glamorous business, but for Maher it felt like this was far from what he would call ‘the dream’, “I loved the music but I hated everything that surrounded it, it always felt like something wasn’t right”.On a visit home to Sweden he became engaged once more with his Islamic faith and decided to move away from a career as a music producer to become a singer/songwriter of contemporary R&B music with a strong religious influence. 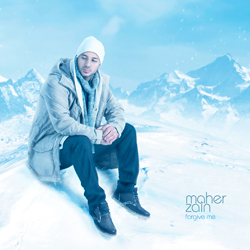 In January 2009, Maher Zain decided to work on an album that reflects his identity – Arab, Western and Muslim – and signed with Awakening Records. Maher’s debut album Thank Youa Allah reached the number 1 spot on Amazon’s World Music charts and number 9 on the R&B charts. Album Notes: “Forgive Me” the incredible new album from platinum-selling artist Maher Zain. After the stunning success of his debut album “Thank You Allah” Maher Zain is back with his amazing second album! After the phenomenal success of his debut album “Thank You Allah” Maher Zain is back with another stunning masterpiece. Featuring 14 breathtaking tracks, including the hit single “Number One for Me”, the long-awaited second album “Forgive Me” is destined to captivate the imagination of audiences worldwide. Album Notes: On his debut album Thank You Allah, accomplished Swedish producer and singer Maher Zain effortlessly mixes the sounds of R&B with traditional nasheed, soul with contemporary pop music, not just updating Islamic music, but fearlessly reviving it with contemporary music. Thank You Allah with its 13 tracks is an instant classic of great power and timeless, unassailably intense spirituality. Thank You Allah manages to masterfully strike that fine balance between powerful upbeat songs of praise or encouragement, and sensitive, inspired ballads. It is a bright and shining testament to faith in Allah and praise for his countless blessings. 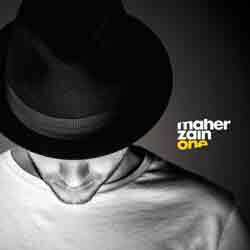 Throughout the album’s thirteen tracks, Maher uses his soft, sincere, and heart-piercing vocal ability, together with his masterful music production prowess to uplift his listeners and to elucidate the pure joy of spiritual and musical flight. He not only crosses but banishes lines of separation between nasheed and modern music. He touches on the doubts and weaknesses we endure in this battle called life, but at the end of it all, with the grace of Allah, we shall overcome this fight!